Security and privacy are more important for internet users than ever before, and if you’re looking to protect yourself, installing a virtual private network (VPN) should be your first step. A VPN is a group of computers that are set up as a network on the internet and which you can access from your personal computer and/or mobile devices in order to protect yourself from eavesdropping. A VPN takes your private network and extends it across a public network, so that your IP address and data are encrypted and hidden. Many people use VPNs today not only for security, but also in order to change the location of their computer so that they can watch their favorite TV shows from a foreign country or stay connected to a work network even when outside of the office. In addition, in countries where there is rigid state control of the internet, a VPN can help you sidestep the authorities and access banned websites, while also covering your virtual tracks. What are some of the main reasons to install a VPN on your devices? Let’s take a look. In the digital age, there are more people working remotely than ever before, and more and more students are using the internet for their lectures and for accessing source material and other academic resources. This relatively new reality requires novel solutions, and this is where VPNs help. The way it works is that the person in question installs a VPN provided by their work or their school which they can then use to access network resources even while away from work or off campus. The VPN creates one unified connection between all of a company’s facilities, allowing you to link them across the world. This way you can work remotely and still access your work network, while safeguarding the security of the system through the VPN. For students, it means not having to be on location at a campus library or archive in order to access network material safely and efficiently. VPNs are a popular security solution for people who want to keep their data and personal details safe while they are surfing online. Many businesses use VPNs for their communication because a VPN can secure data while employees are using remote data centers. VPNs provide a secure, encrypted tunnel for data transmission between your computer and the company’s network, so even if a hacker was able to get their hands on your data, they’d be unable to use it. Most VPNs will also deploy a firewall on your device as a first line of security. These safeguards are especially important when surfing on WiFi connections in public, such as at a cafe or on the bus. These are popular routes for hackers to infiltrate your system, but with a VPN you have a powerful line of defense. Many websites can download spyware and malware to your computer online, and with a solid VPN, you can stop this threat at the front door. In countries across the world, authoritarian governments put restrictions on internet access. This can include blocking opposition websites, the free press, and even websites like Wikipedia which provide content that the authorities don't want their citizens to have access to. In these regimes, the government also uses a number of digital investigative methods to keep track of citizens, and to hunt down the IP addresses of people who post, tweet, or share content they don’t approve of. In addition, there is also a fairly large number of countries where pornographic content is banned by authorities. In these states, a VPN allows you to mask your true location, keeping the authorities from following the digital footsteps to your front door. In addition, it also allows you to access news sources and websites which are banned, be it for political or “moral” reasons. So you’re posted abroad for work all month, just as the new season of your favorite show premieres. In most cases, the websites for US TV channels won’t stream abroad, and the content that you’re used to watching on your computer free of charge is inaccessible. With a VPN you can change your location to read that you are stateside, enabling you to access content that is limited to North America, or whichever country your show is typically aired in. So we’ve got you convinced, but what should you look for when buying a VPN? There are three main factors to consider: logging, security protocols, and servers. There are two types of logs - connection logs and usage logs. Connection logs are a basic record of your connection to the VPN server, including your IP, how long you were online and how much data was transferred. These logs are kept by the VPN to deal with technical issues. Usage logs on the other hand show which websites you’ve visited, the files you’ve downloaded and which files you've used. You want to look for a VPN provider that has a strict no usage log policy. Some companies have been known to make money by selling the data from customers’ usage logs, which can include sensitive information that you don't want getting out there. A VPN uses a security protocol to encrypt your information and keep it out of the hands of third parties. That said, some protocols are stronger than others, and some, like PPTP (point to point tunneling protocol) are known to have security flaws. OpenVPN is seen as the best in the industry, but many providers allow for multiple security protocols and you want to make sure that yours uses one that is known for airtight security. Another handy and common security feature is an automatic kill switch, which will automatically take you offline if the VPN for some reason stops working. The more servers the merrier is the rule of thumb when it comes to VPNs. If there are too many people using the server, things can slow down, making your connection at times choppy. You should look for a VPN that uses a large number of servers in as many locations as possible so you can hop around if things get a bit sluggish. Besides these three parameters, it’s also very important that you figure out what your VPN needs are. Do you run a business network you need to access remotely? Do you share a lot of files online? Is security your number one concern? What about privacy? 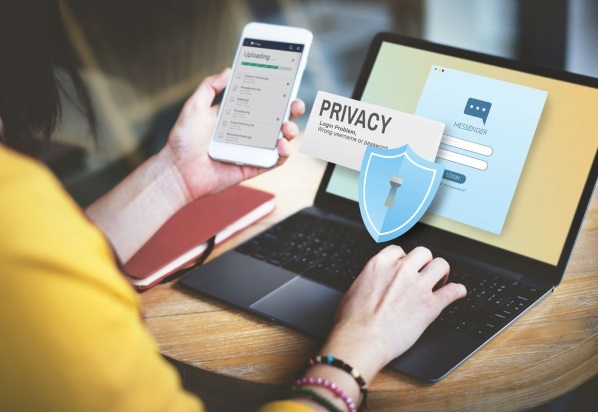 These two factors aren’t the same thing - privacy features keep your identity safe while online, while security features keep out viruses, malware, spyware and the like. You need to determine which features are most important for your VPN needs, and then see what the top VPN companies offer and at what price. NordVPN​ won’t give you any problems with set-up and is a great option for beginners. 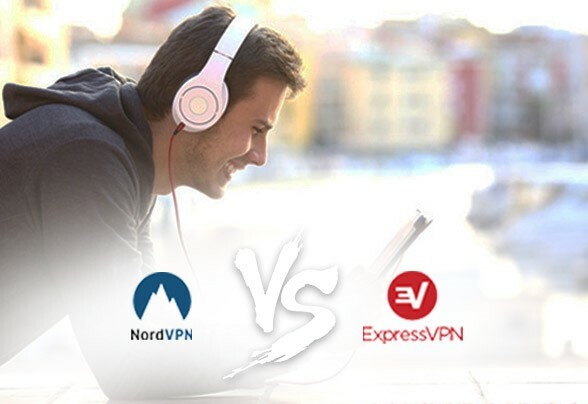 When it comes to security, NordVPN uses double data encryption which means you can breathe easy when using a public WiFi connection. As for user experience, NordVPN has an intuitive interface and is beautifully designed, with set-up a cinch that doesn’t require you to lift a finger. You don’t need to worry about logging with NordVPN’s zero logging policy. There is also an automatic kill switch that shuts down the connection if your VPN drops, and can be run on 6 different connections at the same time. In addition, if ever you have any issues using the system, you can make use of the company’s 24/7 customer service. Fast, secure, and easy to set up is the MO of ExpressVPN​. When you sign in, ExpressVPN automatically searches out the fastest possible server based on your location so you don't need to worry about a sluggish connection. The VPN also includes a 99.99% uptime and unlimited bandwidth, plus a kill switch that will close shop if the VPN stops working for some reason. With the company’s security features, ExpressVPN allows you to go online safely from public WiFi and keeps your personal and financial data safe from ISP third parties and hackers, and helps you access websites that are blocked by censorship or filters. You may not be in the armed forces, but with CyberGhost​ you can still make use of the company’s “military grade encryption,” which CyberGhost states is the strongest on the market. CyberGhost also promises the highest possible speed, in addition to unlimited bandwidth and access to more than 1,000 servers worldwide. The format of the program is easy on the eyes and doesn’t bog you down with tons of text and graphics. Even better, you don’t have to worry about your data being recorded with CyberGhost’s strict no logs policy. Hotspot Shield combines ease of use and top notch security and is one of your best options for a VPN. You'll enjoy the company's no log policy, as well as unlimited bandwidth, which you can take advantage of on up to 5 connections at the same time. You can also purchases ad-blocking and malware detection features with any of the company's paid plans. PureVPN​ offers you a variety of pricing plans for a service that includes zero logging, a wide array of security profiles, unlimited bandwidth and an easy to use interface. The kill switch will log you offline if the VPN stops working, and no matter what happens, you have someone to turn to with the company’s 24/7 customer service live chat. We live our lives online to an extent that would have been unthinkable not that long ago. In this reality, internet security is more important than ever, and a VPN is a great way to defend yourself against security threats, safeguard your privacy, access networks remotely, and bypass filters that block you out of web content based on your location. To put it another way, a VPN is an essential tool for using the internet today, and once you’ve determined what your online security and privacy needs are, you can find the right VPN that works best for you. Safeguard your information and enjoy unfettered internet access with the help of our in-depth VPN reviews.